Please Note: Usually a parts description will illustrate product application. Clamp = For clamping. Not resizing Nitro engine sleeves. Image source: Major industrial catalog with selling price of $1.78. Why pay 20-40 dollars for this? It is not a resizing fixture it's a CLAMP! The CLAMP will not provide accuracy, or safely compress sleeve cylinder in a round uniform state. An experienced craftsman / person experienced with close tolerance inspection tools, such as micrometers that read in 0.0001" (one-tenth of one-thousandth inch) increments, would see the poor quality resizing results/out of round measurements received this method. Simple measurements, using simple inspection tools, is not sufficient ......You must hold exact close tolerances when resizing a nitro engine sleeve cylinder. Most RC hobbyists do own digital calipers/Micrometers that read in 0.0005" (one half of one-thousandth) at best....More common are the mics / calipers reading 0.001" (one-thousandth of one inch) increments. Either way, not even remotely acceptable accuracy is there to be found by using above type hardware as a tool. Or trusting tests/inspections made with inappropriate inspection equipment. Unfortunately, racers sending us damaged sleeves for rework that do not run well know better now. Remember. In order for your engine to run properly the sleeve bore and piston diameter MUST be concentric and even / uniform within 0.0001"(one tenth of one-thousandth of an inch). A sleeve that is resized out of round a half thousandth will not re-lap at re-break-in resulting in a poor seal. This causes blow-by providing an inferior power stroke reduced overall horsepower. Out of round Cylinder ID and OD a half thousandth minimum. All tightness at top with no taper. Sleeve cylinder liner chrome plating scratches. Sleeve liner deep gouges and excessive chipping at porting windows, resulting unsalvageable conditions. The over all impression we hope you get here is that there are many less expensive methods of pinching a sleeve and making it smaller. RayAracing tooling is profiled to give ability to very mildly reform the sleeve cylinder and maintaining an exact round state with no flats, kinks, oval like results, or damaged plating conditions. All you have to do is inspect the piston and sleeve surface finishes of one of our resizings (after a gallon or so running) and compare it to one that was resized with a cheap resizing tool/other inferior process. You will note a uniform and nicely lapped in seal surface on our work. The other will be uneven and guaranteed to have scratches or other unwarranted surface finish conditions sacrificing reliability, performance, and longevity. Please note the micrometers you will see RayA making use of in the video presentations. 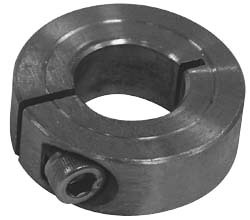 The micrometer is commonly used in industry for securing small measurements. Its purpose is to measure objects with extreme accuracy. 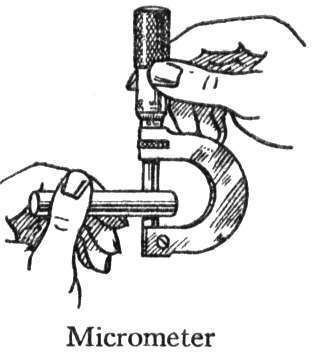 Vernier micrometers can measure to ten-thousandths of an inch (0.0001").